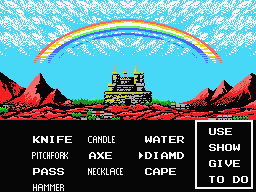 Knightmare III: Shalom is a role playing game for the MSX. Hebrew. The correct pronounce is “shã-’lOm”. Among the Jewish, it’s a traditional word of goodbye, meaning peace. It used to mean “That the peace rules and God be with you”. The main goal of the game is to find an exit from the Greek Realm back to your own world. 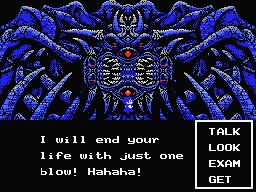 This is a 98% translation of the MSX title Shalom: Knightmare III.